'Replay' ( Joseph Ghio, R. 1980). Seedling# 74-125Y. TB, 34" (86 cm), Midseason bloom and rebloom. 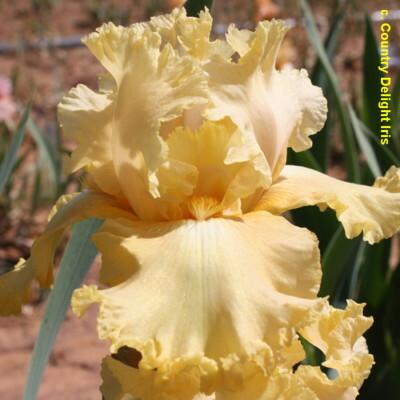 Rich apricot with small white blaze below tangerine beard; heavily laced. 'Happy Bride' X seedling# 72-58Y: (( 'Show Time' x 'San Leandro') x 'Karen Jane'). Maryott Gardens 1980.